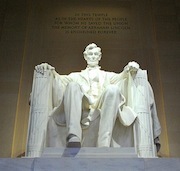 Congratulations to the companies selected for the Digital Mission to Washington, DC 2011. Digital Mission to Washington DC is organised by Chinwag, FutureGov, BrightLemon and Kathryn Corrick, enabling digital companies to expand into overseas markets and attract investment outside the UK. The list includes contact details for each of the companies, so please do get in touch. Blog/press-friendly versions are available below. AMEE aggregates and automatesaccess to the world's environmental and energy information, providing trusted, comprehensive and timely answers to millions of environmental questions. Its unique partnerships with world-leading standards providers including the World Resource Institute (WRI), UK Department for Energy and Climate Change (DECC) and Carbon Disclosure Prject (CDP), make AMEE the most comprehensive and advanced web-based solution for greenhouse gas emissions, energy efficiency, and other environmental data. Anywhere.me is a free, secure and scalable web publishing platform.Their solutions include personalised startpages, desktop dashboards and web browser toolbars. The software is used by public libraries, universities and government agencies to produce portals and micro-sites which promote services and resources, engage with users and enhance web experiences. In addition to this the products also generate revenue, bringing in thousands of pounds and dollars in new income streams for their partners. CarbonCulture is a community platform that helps organisations embed sustainability across their communities to deliver cost and carbon savings. It is designed to deliver efficiency improvements while driving employee satisfaction and brand equity for public and private organisations. CarbonCulture helps energy professionals to make better decisions (saving as much as 20% on the basis of better information), but uniquely it is also built for non-experts: the vast majority of people who could strongly influence energy and carbon efficiency, yet do not have the motivation or knowhow to contribute effectively. CarbonCulture gives them engaging and user-friendly web-based and physical tools to make sustainable behaviours easy, relevant, salient and rewarding for ‘the rest of us’. Firmstep supply a third of UK Municipal government with e-government software and continue to innovate ways of improving customer service and saving money. Most recently launching (announcement pending) a free hosted CMS for governments to make it easier and less costly to provide better websites and transactions to citizens. Huddle is the leader in cloud collaboration and content management for the enterprise and government. Huddle is used by more than 85,000 organisations worldwide to securely manage projects, share files and collaborate with people across the firewall. Huddle is the most widely used cloud service in UK Government with more than 70% of central departments using it and tens of thousands of users in local government, health and affiliated bodies. The Place Station (TPS), an online dating service for social entrepreneurs, asset owners and professional supporters. TPS is a new initiative from Locality that helps people to freely access available and expert help to kick-start community projects across the UK. Partly developed in response to UK central government's initiative to make public data more open and transparent, TPS comprises a map-based web platform that helps people to find publicly owned land and buildings; share and collaborate innovative social enterprise ideas; campaign to save important local assets and services; and find local and national supporters to help turn their project into reality. Open Cinema is a network of cinemas for homeless people. Operating since 2005, they enable members to programme seasons of films, meet high-level filmmakers and experts, and make films of their own which are seen at major festivals and on television. The results are increased mental health and skills, and improved access to further training, education and work. 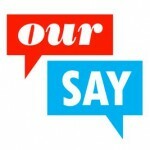 OurSay is a website where people post, vote and share questions and decision-makers respond to the most popular questions. Public-i are a research led organisation who build tools and services to help government join the conversations that are happening online. They have a track record of 10 years and deliver reliable and innovative results for clients. Their current focus is on creating online civic spaces which are open, co-productive and democratic but we also work with clients on digital engagement projects. The core product is a content rich webcasting service which makes streaming of formal meeting content open and accessible to the public. Waspit is a unique and competitive mobile payment platform that allows its users to pay for almost anything they could want using their mobile phone. Recently Waspit announced its contactless payment solution (BuzzPay™) which will enable its users to simply waive their mobile phone (old or new) over any of the MasterCard PayPass terminals around the world. WebsEdge links issues and audiences through the power of television. For six years now WebsEdge have been developing digital television channels for specific communities in government, education and health. During that time they worked with leading organisations across the globe in areas as diverse as global health, further education and law enforcement. All their channels have high quality content at the heart. For the next generation of channels, WebdEdge are very much focusing on community engagement marrying content with social media and distribution technologies.